So what’s the all-time top fantasy of dog breeders? Winning the national specialty? Going BIS from the classes? An all champion litter? Few of us ever experience any of those glorious highs, but Salgray Boxers turned them into a routine. By the early ‘60s, playing “top this” was virtually impossible in the Boxer game. In less than a decade, the breed had rocketed from obscurity to dominate the post-war American dog scene. The first rating system, the Phillips System, which was implemented in 1956, clocked Boxers as the group’s top winning breed for the next ten years. Ch. Warlord of Mazelaine kicked it off in 1944 winning Best American-bred at Westminster and defeating a powerhouse 156 dog breed entry two years later on his way to Group Second. By 1947, Warlord had paid his dues. Handled by Nate Levine, his Westminster Best that year marked his 25th group and 12th BIS. Of course, his primary historical footnote stands as the first Boxer to win Westminster; and the floodgates opened. Two years later Ch. Mazelaine’s Zazarac Brandy, also bred by John Wagner, earned his 33rd BIS by going Best at Westminster. Then in 1951, at just two years of age, Ch. Bang Away of Sirrah Crest became the third Boxer in five years to pull it off. Also handled by Levine, Bang Away defeated Warlord on his way to this win and in doing so also became the first West Coast dog to take BIS at Westminster. He would go on to set the first significant BIS record in the sport with 121 Best In Shows. After Bang Away, it seemed that life couldn’t get any better. 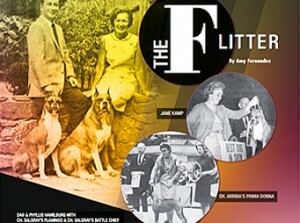 At least until 1961 when the “F” Litter came along. Salgray was far from an unknown entity by then. Established in 1952 in Brookline, Massachusetts, Phyllis Hamilburg entered the sport when Boxer mania was peaking. She had absolutely no background in the sport; her sole ambition here was a nice pet for the kids. Sally of Grayarlin, acquired from Jane Kamp, provided a kennel prefix, inspiration, and most importantly, a mentor. Within a year, Kamp had set the Hamilburgs up with the littermates Sabot and Slipper. Both quickly finished and Slipper was bred to Ch. Barrage of Quality Hill. Phyllis might have been new to this stuff, but she tapped into a potent bloodline. Barrage, a Bang Away son, then hovered in the all breed top ten, and held the top Working dog position for his second consecutive year. The litter produced their first homebred champion, first BIS winner, and first top ranked special, Ch. Salgray’s Battle Chief. Battle Chief would go on to sire 23 champions and become the top Boxer sire of 1959. Posted by Alex on Apr 10 2019. Filed under Current Articles, Featured. You can follow any responses to this entry through the RSS 2.0. Both comments and pings are currently closed.